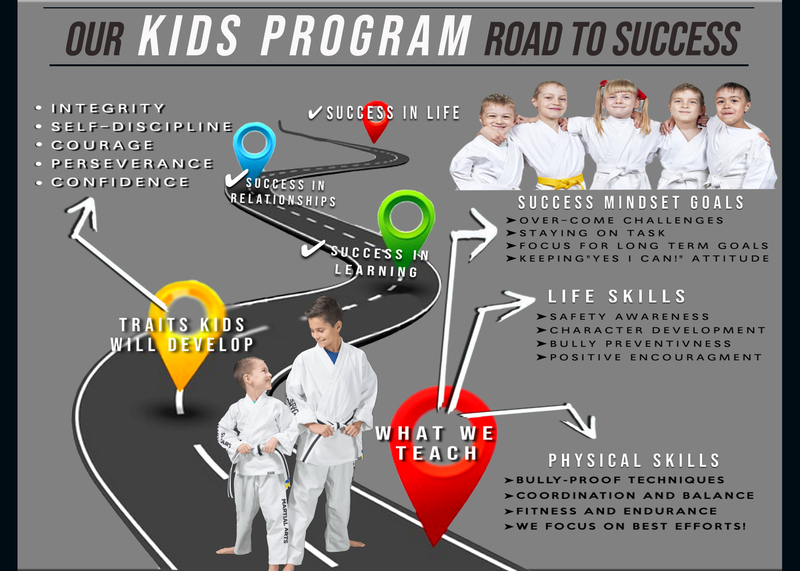 There are many benefits from being involved in our Kids Martial Arts Program. Life skills, physical skills, and a winning mindset are developed through our structured and age specific programs. Integrity, self-discipline, courage, perseverance, and confidence are some of the many positive traits that kids develop through our program. Let us help you build an environment for your child that encourages these traits. Click HERE to learn more abour our Kids Martial Arts Program.